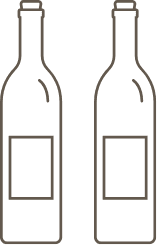 It’s easy to join our wine club! There are no sign-up fees, and you’ll receive special discounts immediately—including a free tasting and a 20% discount on today’s purchase. Simply choose your allocation below and start enjoying all these great benefits. Club members receive four allocations of up to four wines per year—in February, May, August/September, and November. Our Winemaker will select the wines for each allocation, but you’ll have the opportunity to change any of the selections (subject to availability). You can choose from William Church and Cuillin Hills wines, as well as additional labels yet-to-be introduced. Club Member must be 21 years or older to join. A one year/four allocation participation is the minimum membership period. Wines will be charged at the time of allocation and are non-refundable. Allocations awaiting pick up by member will be held for a maximum of six months. After that, allocations will be donated to a charity of our choosing and will no longer be available for release to the Club Member. 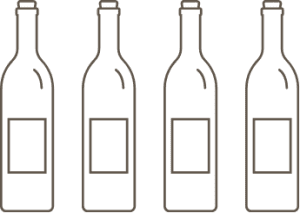 Wine Club benefits are for use by the Wine Club Member and are not transferable. Club Member must be in good standing with all allocations accepted and paid for, in order to receive benefits. Full participation in allocations is expected. Cancellation of membership may not take effect until after the next scheduled allocation, depending on the timing of the request for cancellation. Wine Club cancellations must be received via email at club@tintecellars.com. Complimentary use of one of our Woodinville tasting rooms for a private party is limited to once per year per member. Discounted rental rates available for additional parties. Minimum purchases apply, and subject to availability. Email events@tintecellars.com for more information. Complimentary monthly tastings include member and up to 3 guests. For shipped orders, an individual 21 years or older will need to be present to sign for delivery.